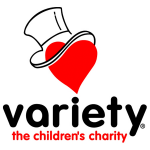 Variety is a children’s charity, dedicated to inspiring hope, enriching lives and building a better future for the children of Southern California. Since 1982, Variety has been dedicated to providing the aid of lifesaving support for disabled, abused, physically-challenged and under privileged children. Founded in 1974 with a simple yet powerful mission: equal justice for all. 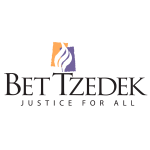 Bet Tzedek provides free legal assistance to all eligible needy residents throughout Los Angeles County, regardless of their racial, religious, or ethnic background, and promotes empowering the powerless. 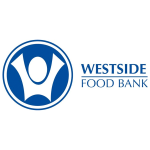 Westside Food Bank is an independent non-profit founded in 1981, which provides food to social service agencies on the Westside of Los Angeles County. They have given more than just food, often deterring homelessness, and provide resources that give clients self-respect and economic independence. 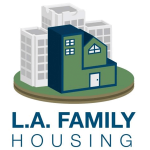 L.A. Family Housing helps families transition out of homelessness and poverty through a continuum of housing enriched with supportive services. With a vision beyond ending homelessness, they hope to lead in finding solutions that make for a better life. The JFS SOVA Community Food & Resource Program responds to hunger in the community by providing individuals and families with the resources they need to regain self-sufficiency and independence, including free groceries, case management, counseling, and other supportive services, such as legal counseling and job search assistance. Chrysalis is a nonprofit organization dedicated to creating a pathway to self-sufficiency for homeless and low-income individuals by providing the resources and support needed to find and retain employment. Since being founded in 1984, Chrysalis continues serving men and women living on the streets of Los Angeles’ Skid Row. Union Station Homeless Services is the San Gabriel Valley’s largest and most comprehensive social service agency assisting homeless and low-income people. Their mission is to help, men, women, and children rebuild their lives and to end homelessness. The League of Women Voters is a citizens’ organization that has fought since 1920 to improve our government and engage all citizens in the decisions that impact their lives. They emphasize this through engaging in both broad educational efforts as well as advocacy. Venice Family Clinic’s mission is to provide quality primary health care to people in need. Founded in 1970 by Phillip Rossman, MD, and co-founder Mayer B. Davidson, MD, it has grown from a small storefront operation into a community health system with seven clinic sites in Venice, Santa Monica, Inglewood, Mar Vista, and Culver City. Venice Family Clinic serves 24,400 men, women, children, teens, and seniors annually. The Sierra Club Foundation’s mission is to help educate, inspire and empower humanity to preserve the natural and human environment. They do so by raising funds donated for tax-exempt charitable purposes and by preserving, enhancing, and administering these funds so that future generations will inherit a healthy planet with wild places left to explore. 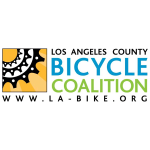 Tree People is an environmental nonprofit that unites the power of trees, people and nature-based solutions to grow a sustainable future for Los Angeles. 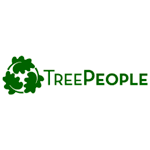 Tree People’s mission is to inspire, engage and support people to take personal responsibility for the urban environment, making it safe, healthy, fun and sustainable and to share the process as a model for the world. 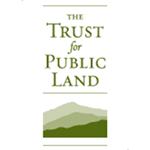 The Trust for Public Land conserves land for people to enjoy as parks, gardens, and other natural places, ensuring livable communities for generations to come. Founded in 1972, their goals remain in protecting land in and around cities and pioneering new land conservation techniques. Laemmle Theatres Charitable Foundation is creating this 75th Anniversary Event as a way to celebrate the theaters’ role in the cultural and civic life of the city as well as support deserving, L.A.-based non-profits. All funds raised by the event will be matched by the Laemmle Family. Join us for our December 17th gala event. Tickets include drinks, hors d’oeuvres, community presentations and a special film screening of a surprise Laemmle classic. Tickets are available here. Buy tickets for our 75th Anniversary raffle. Prizes include a 2014 ALL-THEATRES LAEMMLE MOVIE PASS good for you and a guest; a FREE PRIVATE SCREENING for you and up to 100 friends; and more! You can purchase raffle tickets for $5 each or 5 for $20 at any of our seven locations or by calling 310-478-0401. Click here to see all the prizes and details. Here are the official rules. Donate directly to the Laemmle Charitable Foundation. Your $10 donation gets your name in the 75th Anniversary tribute book and a donation of $25 gets you 75th t-shirt. You can donate here. Join us Dec. 17, 2013 as we celebrate 75 years of film exhibition and community involvement in Los Angeles. The evening includes drinks, hors d'oeuvres, community presentation and a special film screening of a surprise Laemmle classic! Your ticket includes a complimentary copy our commemorative book, "Not Afraid … 75 Years of Film Exhibition in Los Angeles". Your ticket purchase is tax-deductible to the extent allowed by law.